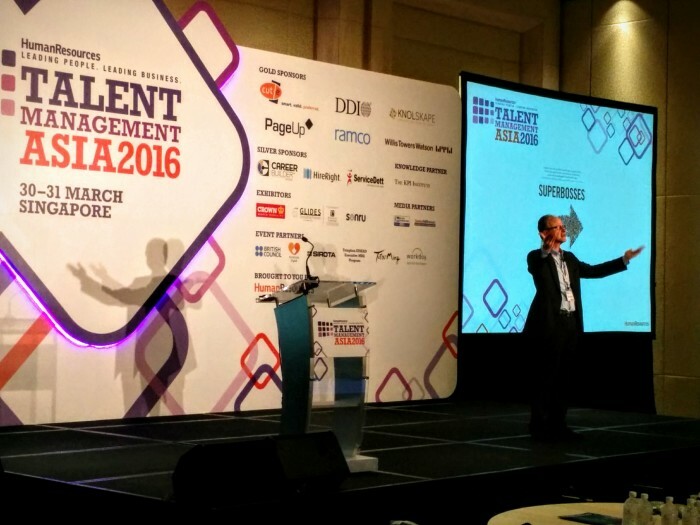 We’re back for the fourth year of Talent Management Asia 2016, Asia’s biggest and most respected conference on talent management and human capital strategy! 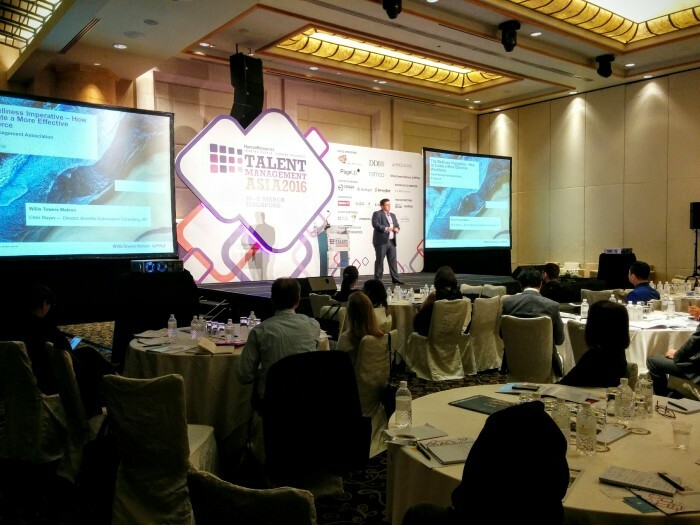 Today’s conference will see speakers from MasterCard, RedMart, SingTel, and more unravelling trends in talent engagement, retention and development. 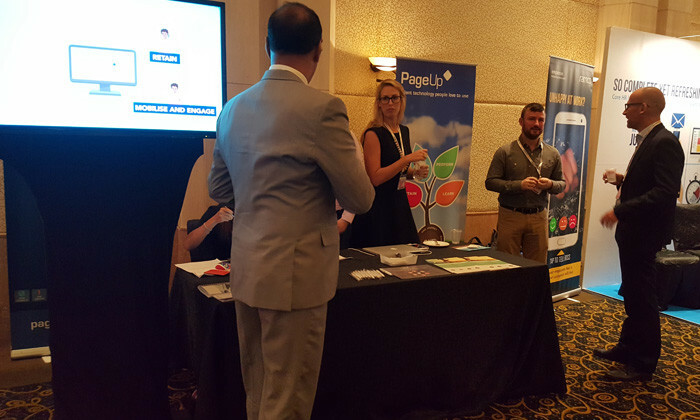 On this page, you can catch live updates from the conference, brought to you straight from Grand Copthorne Waterfront Hotel, Singapore – from all the tweets on #TMA2016 to the top advice dished out by our speakers, and photos through the day. 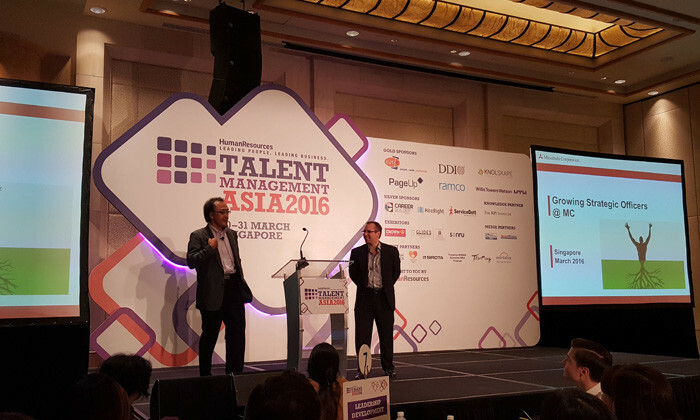 Those sessions bring us to the end of Talent Management Asia 2016, Singapore. Hope all of you had a great time and managed to bring home a few key takeaways from the conference. Thank you once again to all our speakers, delegates and sponsors, and we do hope to see you again next year. As curtains close on this year’s edition of Workforce Mobility Interactive, senior journalist Akankasha Dewan takes the stage to thank everyone who made this possible – speakers, delegates and sponsors. 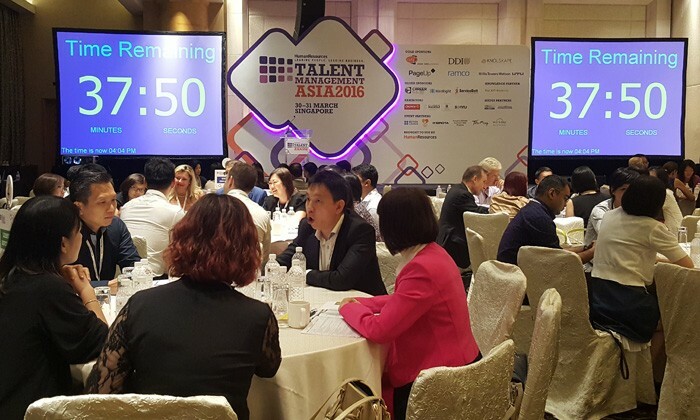 Delegates break for coffee and networking, and check out cool insights from gold sponsor Willis Towers Watson at Talent Management Asia 2016. “Now people are coming to organisations because they want to find what really makes sense to them. How do you ensure that your EVP overlaps with what the workforce wants?” says Sharma. “HR is not moving fast enough. We are too much in the mode of ‘what works in the past will still work’ and we are not in that anymore. “One example is recruiting, with video conferences and social media. Our organisation is still very much stuck in the face-to-face interview phase and people are not going to wait for us to change, ” Noya says. “Until not too far ago, paper resumes are still considered when it comes to hiring. 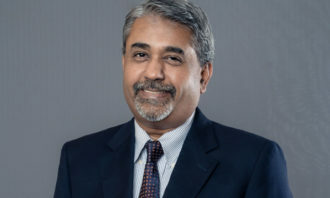 But in the digital world, how the individual is represented in the digital space will probably give organisations a better idea than the paper resumes,” says Kalpathy. “Where people tend to stumble is because at the heart of it, they don’t see how technology can really help the function. They only implement technology to keep up with the rest of the organisation,” Chandrashekhar says. While the future of work might be unclear, the need to plan is not. Karen Cariss, chief executive officer and co-founder, PageUp takes the stage to discuss about the future of work, science and technology to see what it means for business and HR leaders. “Now that we are moving into a more complex environment, the best practice might not necessarily work. We have to look into using emergent practices,” Cariss says. 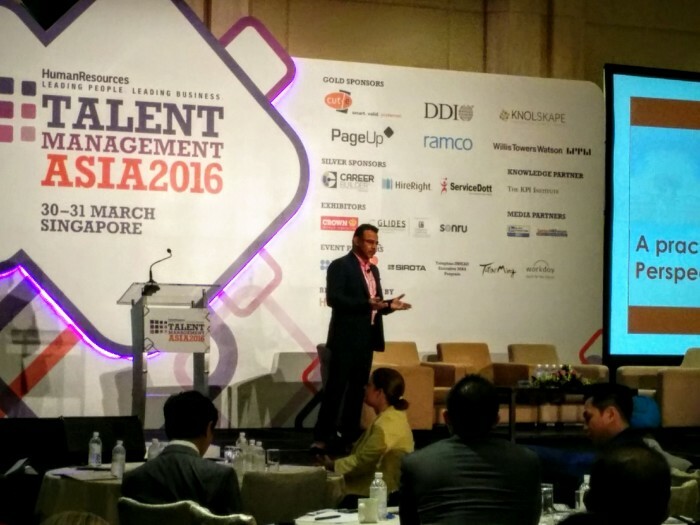 Delegates take a lunch break, and gain some interesting insights from Talent Management Asia 2016 gold sponsor, Ramco. We now have Andreas Lohff, co-founder, cut-e and Kate Woodley, MD, Singapore and Australia, cut-e on stage to share tips on delivering clear ROI in talent selection and development through online measurement,psychometrics and predictive analytics. 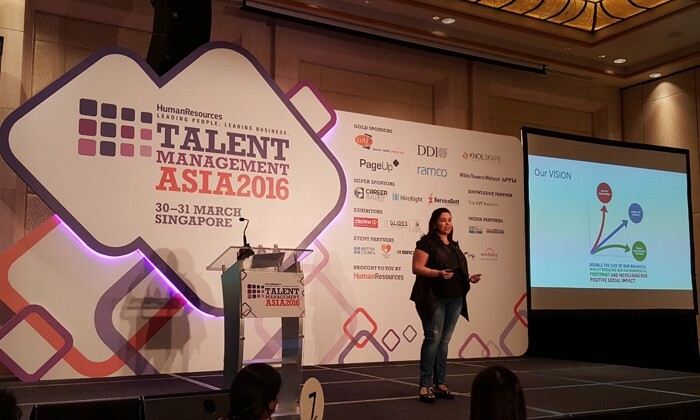 We now welcome Tricia Duran, HR director, Unilever Asia to share about driving employee engagement through talent management as well as how to bring out the best in your top talent. We take a tea break, and thank our gold sponsor PageUp . 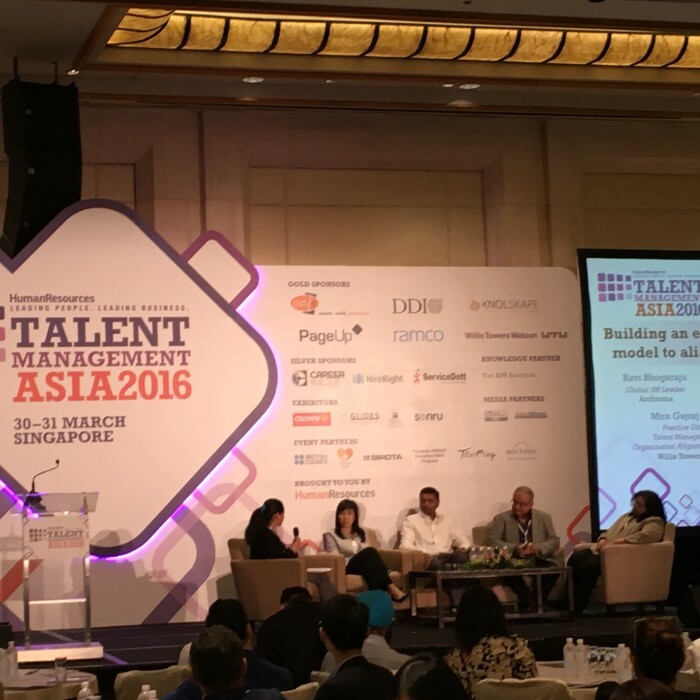 Please meet them while you’re at Talent Management Asia 2016! Next up, Stephane Michaud, regional manager, Asia and Oceania, strategic planning and HRD consulting, and Toyohiro Matsuda, head of HRD, Asia, both from Mitsubishi Corporation Corporate Center for Asia & Oceania take the stage to reveal some tips for creating a robust and inclusive environment for all generations and variations of the workforce. “Mitsubishi Corp. started as a training concern but today we’ve invested in many many businesses. We have 6 segments to our Asia & Oceania people strategy. We need strategic officers,” Michaud says. “In order to retain our strategic people, we have to enable the the strategic officer with the ability to create ‘glocal’ and ‘gregional’ strategies, they should have the ability and drive to execute these strategies,” Matsuda says. 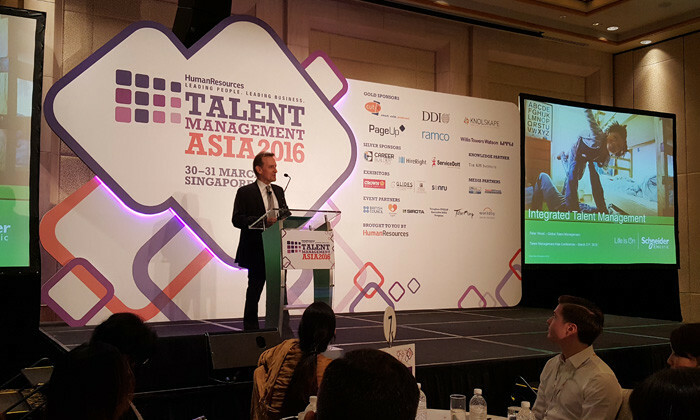 Peter Wood, vice-president, talent management, global human resources, Schneider Electric kicks start day two of Talent Management Asia with a case study on how the firm develops its talent with the use of integrated talent management processes. “Each review focuses on one level of the organisation at a time to ensure that potential assessments of managers are calibrated,” says Wood. 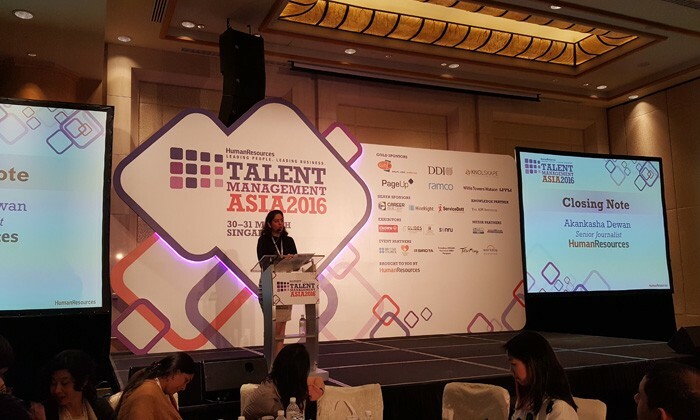 Senior journalist Akankasha Dewan takes the stage to welcome all speakers, sponsors and delegates to the second day of Talent Management Asia, the region’s leading HR strategy conference. 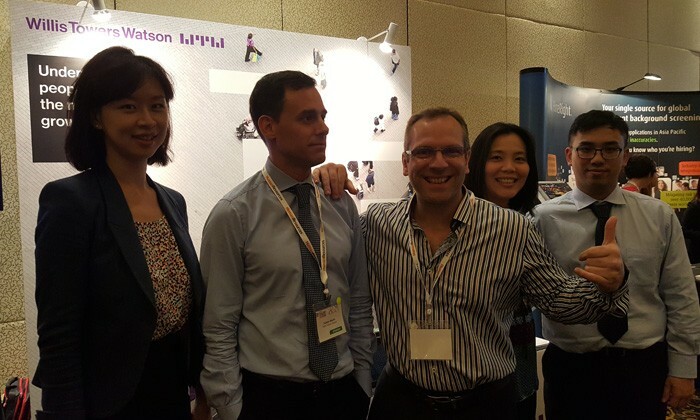 Our team is all set to welcome today’s delegates at the second day of Talent Management Asia 2016. Looking forward to another jam-packed day of insightful discussions around the complex threads of talent management. 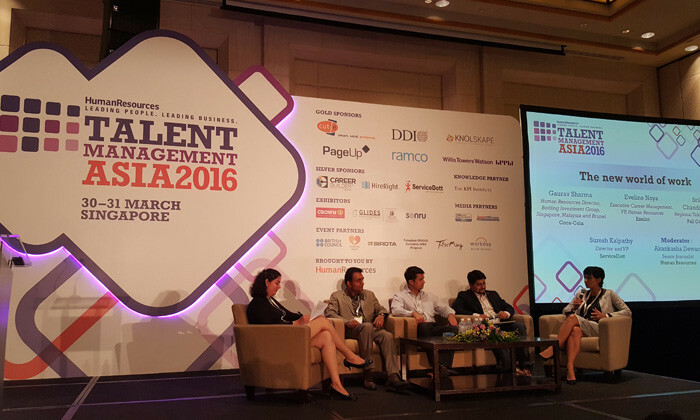 Those sessions bring us to the end of Talent Management Asia 2016, Singapore. Hope all of you had a great time and managed to bring home a few key takeaways from today. Thank you once again to all our speakers, delegates and sponsors, and we do hope to see you again tomorrow. 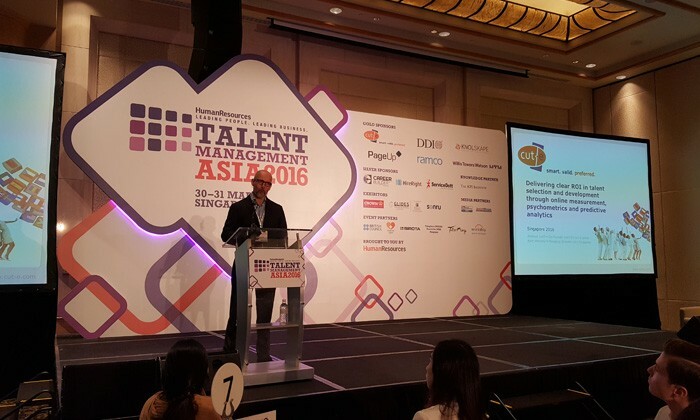 Stream 1: To kick things off on recruitment and retention is Sandeep Yadav, HR leader of global talent acquisition, at MasterCard. He actually studied to be an electrical engineer from National University of Singapore, but he also has more than 12 years of talent acquisition and HR experience under his belt across firms such as UBS and Robert Walters. In this presentation, he will help us overcome the challenges in hiring young talent. Stream 2: The specialised stream on technology in talent management starts with someone who joins us all the way from Mumbai – Paritosh Anand, VP and group head, analytics and strategic initiatives, at India’s largest private sector firm, Reliance Industries Limited. Given he spends his days building a world class analytics and decision science practice for Reliance Industries, he is going to help delegates build a data analytics framework. 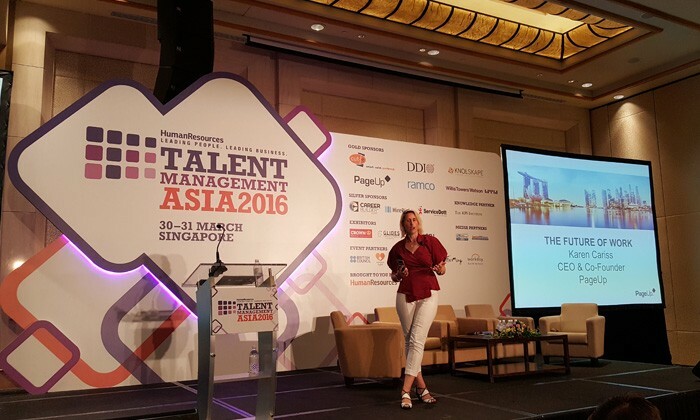 Stream 3 Talent Management Asia 2016’s third stream, covering topics on learning and development, opens with a keynote session by Ilja Eijnen, Regional HR Director Asia Pacific & India of Edrington. He heads up HR in the region and works closely with the senior leadership teams and the HR team in building a strong people culture and enhancing capability. Today, he sheds light on how best to develop the right learning and development programme. 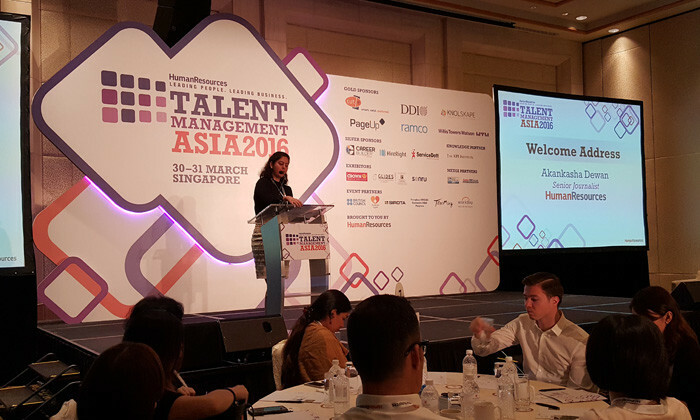 Talent Management Asia is now going to split into three streams, each specialising on a different topic, based on the issues which matter most to our delegates. We now have a session from Imran Ahmad, CHRO, REDTAG, a major retailer based in the UAE. Ahmad has more than 15 years of experience in the Gulf region, across organisational development, capability building, and the integration of technology into HR. He’s also an expert on job evaluations and occupational testing, having been certified with Hay Group and SHAL respectively. For this presentation, he is looking to answer the burning question – what do CEOs expect from HR, and are we delivering that? To build on Prof Finkelstein’s momentum, we steer the discussion towards the rewards space, with Chris Mayes (regional director of APAC benefits optimisation consulting, at Willis Towers Watson) who specialises in helping companies optimise their benefit spend – including through benefit benchmarking, cost and utilisation analysis, and communication of benefits. Today he puts that experience into analysing how we can build a holistic history and physical examination strategy for the health of our employees. “Your employees are looking at you to provide that resources that will encourage them to take care of their own wellbeing. The majority of employers, however, still don’t have an articulated health strategy,” he says. It is our privilege to introduce the inaugural speaker – Prof Sydney Finkelstein. He’s among the world’s foremost thought leaders on leadership, strategy, and corporate governance. He’s presently the Steven Roth Professor of Management, and Director of the Center for Leadership at the Tuck School of Business at Dartmouth College. He is also the Faculty Director of the flagship Tuck Executive Program. He takes the stage to present a whole new way of thinking about HR and talent development, with insights from his newest book, Superbosses. “A super boss helps people accomplish more than they ever thought possible. What do these bosses do that’s different from other people? 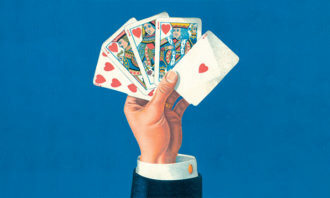 They break a lot of rules, for example, look for unusual talent, and create a very high-performance organisation,” he says. 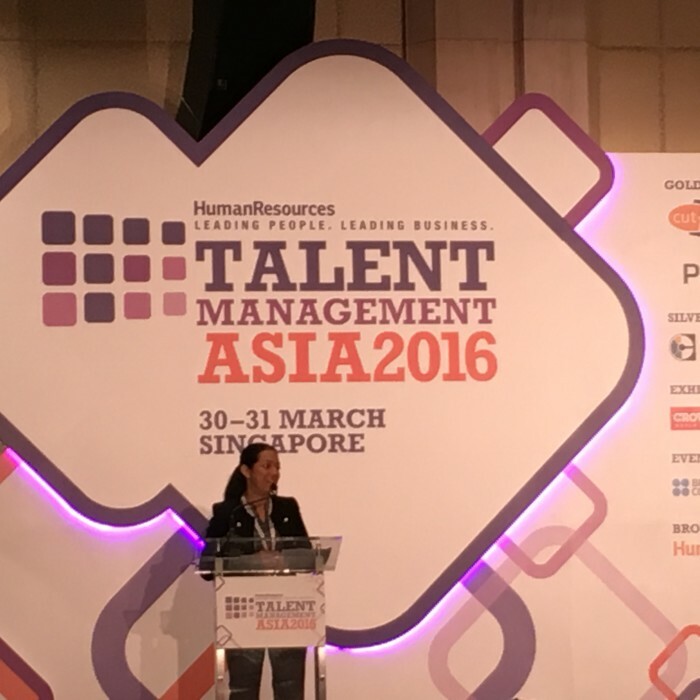 To inaugurate day one of Talent Management Asia, Human Resources’ regional editor Aditi Sharma Kalra takes the stage to welcome all delegates, sponsors and speakers. Ever wondered where the people who bring you TV networks like MTV, Nickelodeon and Comedy Central work? 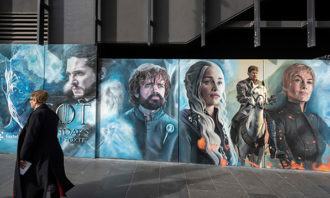 Take a peek inside Viacom ..